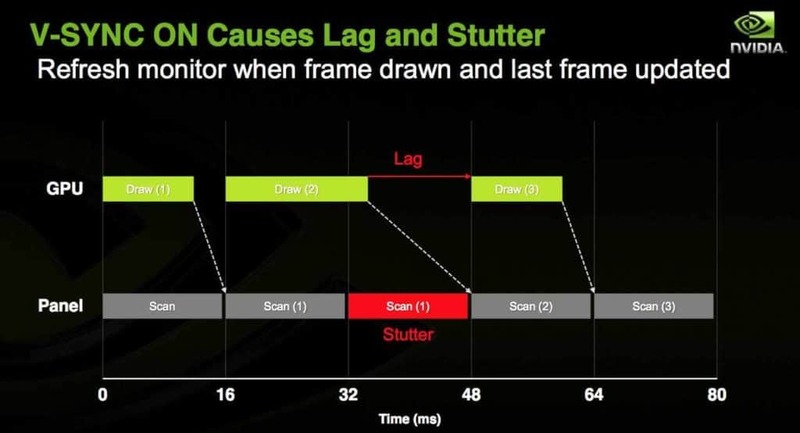 NVIDIA’s G-SYNC technology synchronizes a compatible graphics card’s frame rate (FPS) with a G-SYNC monitor’s refresh rate (Hz). The result is a dynamic, or variable, refresh rate which completely eliminates screen tearing and stuttering. You’ve probably heard of G-SYNC. You will find it in most high-end gaming monitors. You will also find that G-SYNC monitors are usually significantly more expensive than the gaming monitors without it. So, what exactly does it do and is it worth it? 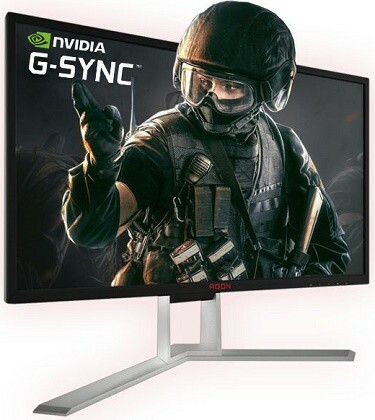 G-SYNC is NVIDIA’s technology that synchronizes a monitor’s refresh rate with a graphics card’s frame rate in order to improve the gameplay performance. All GeForce GTX graphics cards starting from the GTX 650 Ti Boost support G-SYNC as long as you have a G-SYNC compatible gaming monitor. Unlike standard gaming monitors, G-SYNC displays have a special module installed in them that enables the variable refresh rate. This also increases the price of the monitor by $100-$400 depending on the model. In January 2019, NVIDIA launched a driver update which allowed GTX 10-series, GTX 16-series, and RTX 20-series (or newer) graphics cards to utilize variable refresh rate over DisplayPort on FreeSync monitors. However, so far only 18 FreeSync monitors are certified as G-SYNC compatible meaning that only those FreeSync displays will absolutely work without any flickering, visual artifacts, excessive ghosting, or other issues. Other FreeSync monitors may also offer VRR (variable refresh rate) for compatible NVIDIA cards, but the quality of performance isn’t guaranteed. Depending on the monitor, it may work fine, work to some extent, or not work at all. This will also vary between different units of the same monitor, just like one unit of a certain monitor can be overclocked 10Hz+ over the specified maximum refresh rate while another unit cannot go even 1Hz over it. Most monitors will, in fact, work fine with only minor and tolerable (if any) issues. You can check out our list of all FreeSync monitors we’ve tested that provide a stable G-SYNC performance. There are several things you can do if you’re having issues with getting FreeSync to work on your NVIDIA card. Use DDU (Display Driver Uninstaller) to completely remove the old drivers and do a new, fresh install. Update to the latest NVIDIA drivers. You will need at least version WHQL 417.71 for FreeSync to work, but newer updates may contain certain useful fixes. Use CRU (Custom Resolution Utility) to increase or decrease the variable refresh rate range. Use RTSS (RivaTuner Statistics Server) to limit your FPS (Frames Per Second) rate to at least 2 frames below the monitor’s maximum refresh rate. You may also need to turn on/off your monitor to activate G-SYNC on FreeSync monitors. Try fiddling with both FreeSync modes (basic and extended) if the monitor has two modes. The most common issues include screen flicker/stutter when the FPS/Hz rate drops below the dynamic range and triggers LFC as well as having to power cycle the monitor too often. Traditional monitors operate at a fixed refresh rate, commonly at 60Hz, 100Hz, 144Hz, etc. This means that the display is refreshing the screen 60 times (if it’s a 60Hz monitor) in a second to create the image. Naturally, for the image to be created in the first place, the GPU has to render a certain amount of frames and send them to the display. If the graphics card isn’t powerful enough to keep up with the monitor’s refresh rate, you will experience screen stutter in video games. In case the card sends out more frames than the monitor’s refresh rate, you get screen tearing. There are several ways to prevent the above-mentioned issues, but none of them are as effective as G-SYNC. 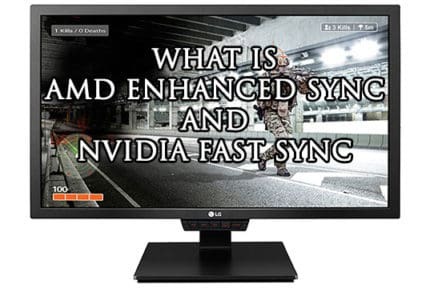 In essence, G-SYNC is an improved version of VSYNC. 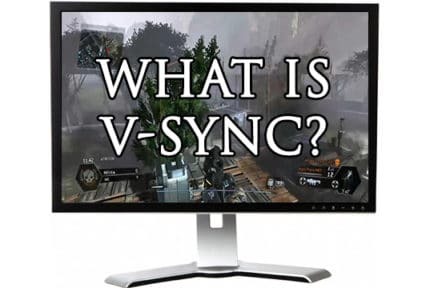 You can find VSYNC in the display driver settings or in video game settings. Enabling VSYNC makes the GPU hold the frame until the monitor is ready to display it. This will eliminate screen tearing but will increase input lag. This even happens on the higher refresh rate monitors, but the input lag penalty is much lower on these displays. When VSYNC is disabled, then the GPU sends frames to the monitor as soon as they are rendered, regardless of whether or not the monitor has finished its refresh cycle and is ready to move on to the next frame. This causes screen tearing if things become unsynchronized. G-SYNC allows the display’s refresh rate to change dynamically according to the intensity of the work required by the graphics card. By doing so, G-SYNC eliminates screen tearing and stuttering for good as long as your FPS (Frames Per Second) rate stays within the range of the dynamic refresh rate which starts at 30Hz/FPS and goes to the maximum refresh rate of the monitor. Of course, this also means that if your FPS rate suddenly drops below 30, you will experience screen stutter in which case you may want to lower the in-game picture settings if it occurs too often. While G-SYNC provides a smoother gameplay experience by eliminating screen tearing, reducing stuttering and decreasing input lag, it does not affect motion blur. That’s why most G-SYNC gaming monitors (not all of them!) also have a feature called ULMB available. When enabled, this technology strobes the backlight in order to reduce the perceived motion blur. 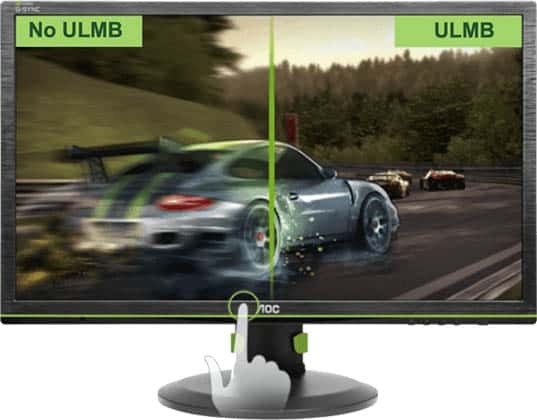 Note that ULMB works only at certain given fixed refresh rates such as 100Hz, 120Hz, etc and that it cannot be activated at the same time as G-SYNC. What’s more, enabling backlight strobing reduces the monitor brightness. NVIDIA rebranded ‘G-SYNC HDR’ to ‘G-SYNC Ultimate’. Basically, G-SYNC Ultimate brings support for HDR (High Dynamic Range) gaming with minimal input lag while keeping all the original advantages of G-SYNC. Learn more about G-SYNC Ultimate and High Dynamic Range. 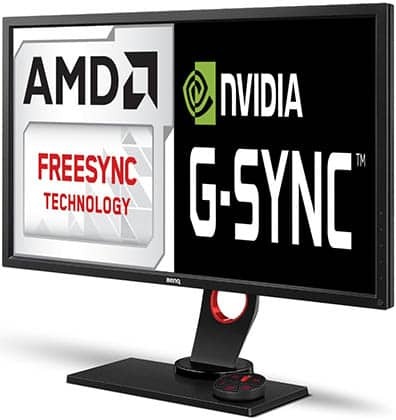 If you have an AMD graphics card, you should look for a G-SYNC certified FreeSync display or an ordinary gaming monitor with AMD FreeSync instead. FreeSync monitors don’t have a dedicated module inside of the display, so there’s no extra cost involved. However, FreeSync monitors usually have a more narrow dynamic range. For instance, a 144Hz G-SYNC monitor has a 30Hz-144Hz dynamic range whereas a standard 144Hz FreeSync monitor will have a 48-144Hz range. Of course, there are exceptions where a FreeSync monitor will have just as wide dynamic range as the G-SYNC counterpart. Some FreeSync monitors also support the AMD LFC technology which ensures smooth performance by multiplying the refresh rate when your FPS rate drops below the dynamic range. Lastly, all G-SYNC displays support variable overdrive which allows you to use response time overdrive at the same time as G-SYNC whereas most of FreeSync monitors are limited to the default response time speed while VRR is active. In short, FreeSync is the best way to go for gamers on a budget while G-SYNC is for those who want premium quality and are willing to pay for it. Note that the monitors listed above will work without any issues, such as flickering, excessive ghosting, and other visual artifacts, with compatible NVIDIA cards. Other FreeSync monitors may support VRR with NVIDIA cards as well, however, in this case, the performance quality is not guaranteed – they may work just as good, not at all, or have a few, likely tolerable, issues.